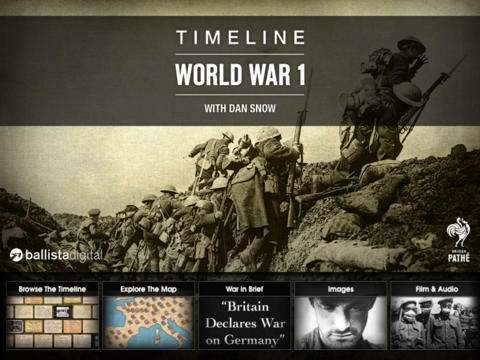 Timeline World War 1 is a multimedia history of the First World War, presented by historian and TV presenter Dan Snow, in association with British Pathe. 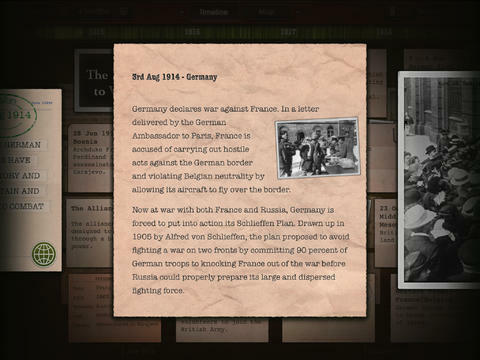 "Timeline World War 2 is a fantastic way to teach eager minds the course of the conflict....Worth the buy? Absolutely. Even if you're not a World War II buff, it never hurts to learn about the past." 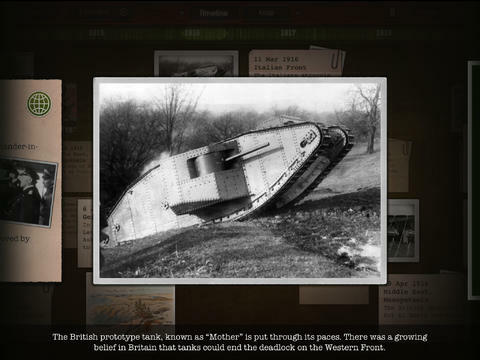 "The app is impressive, centred around a timeline of more than 2,000 events during the war, a dynamic map, and Snow's own commentary on the Pathé videos." 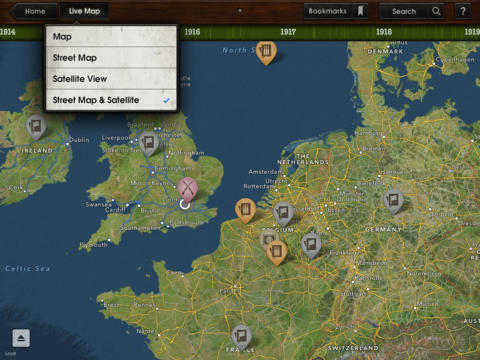 "Timeline WW2 is one of the most impressive history apps we've seen yet, and has set the bar very high." 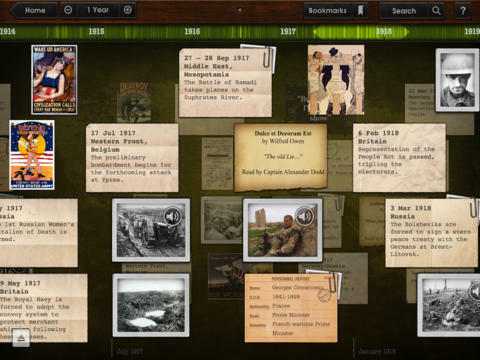 "The ultimate guide to the ultimate conflict.."
"Timeline World War 2 stands out with features that put history in context....it is absolutely gorgeous...Features like a scrollable map, updated audio for newsreel footage, and day-by-day layout of information...create an app that really stands apart." Note: The app contains a large amount of content, and is around 750MB in size, so may take some time to download. Video content within the app requires a wi-fi connection to view, and some of the films are in their original (silent) form, so do not have any audio.